Stephen Mack Jones's August Snow is the latest in what I call Fantasy the Way I Like It. The scenario goes something like this: protagonist has a lot of money, usually due to righteous reward for the correction of a horrible event, like wrongful conviction award, and even more contacts, friends and markers to call on, because he (usually a he, but I'd love to find a she among them) does good and keeps in touch with everyone or anyone whose life he has positively touched has found a way to find him when he needs them most. (I think the previous sentence is not very grammatical, sorry!, but hope it's understandable.) And, with this wealth of funds, friends and returned favors, he performs vigilante-style justice in some sneaky way, because the good government law enforcement cannot do so on its own, so that in the end, the bad guys are thwarted and the downtrodden and victimized are avenged. We root for the flawed heroes who might break or skirt the law, but they're only harming other bad guys and not innocent people. This is a fantasy, of course, but just as enjoyable as vampires, faeries, knights and dragons. Snow was a cop who threatened or scared or angered the wrong other cop(s) and ended up on the wrong end of an Internal Affairs investigation. After getting that cleared up, he found having a bit of extra cash wasn't all that interesting except that he could order a lot of food from the neighborhood bodega for the block party. All the people he wants to protect still live right on the street of his childhood, along with a lot of abandoned homes. So, the block becomes a redevelopment project all of its own, with Snow investing his $12 million settlement from the City of Detroit to provide jobs and consume goods in the community he remains living in. Of course, he has his support group -- at least those he knows about -- fairly close at hand, although most of them are older and remember the goodness of his parents (and don't mind continually reminding of). Snow probably has anger management problems, but he seems to put it to "good" use, again to hurt really only "bad" people. Luckily, Snow sees that most people are three-dimensional and thus have good and bad sides. As such, he is willing to work with jerks in the Detroit Police Department and Immigration & Customs Enforcement (ICE), et al, to feed his need for justice. With lots of Detroit references that I am going to have to check out sometime, it's a urban crime/do-gooder kind of story to fee anyone's need for a feel-good fantasy. Detroit ex-cop August Snow takes up vigilante justice when his beloved neighborhood of Mexicantown is caught in the crosshairs of a human trafficking scheme. When the body of an unidentified young Hispanic woman dressed as Queen Marie Antoinette is dredged from the Detroit River, the Detroit Police Department wants the case closed fast. Wayne County Coroner Bobby Falconi gives the woman’s photo to his old pal ex-police detective August Snow, insisting August show it around his native Mexicantown to see if anyone recognizes her. August’s good friend Elena, a prominent advocate for undocumented immigrants, recognizes the woman immediately as a local teenager, Isadora del Torres. Izzy’s story is one the authorities don’t want getting around—and she’s not the only young woman to have disappeared during an Immigration and Customs Enforcement (ICE) raid, only to turn up dead a few weeks later. Preyed upon by the law itself, the people of Mexicantown have no one to turn to. August Snow, the son of an African-American cop and a Mexican-American painter, will not sit by and watch his neighbors suffer in silence. In a guns-blazing wild ride across Detroit, from its neo-Nazi biker hole-ups to its hip-hop recording studios, its swanky social clubs to its seedy nightclubs, August puts his own life on the line to protect the community he loves. Stephen Mack Jones is a published poet, an award-winning playwright, and a recipient of the prestigious Hammett Prize, the Nero Award, and the Kresge Arts in Detroit Literary Fellowship. He was born in Lansing, Michigan, and currently lives in the suburbs of Detroit. He worked in advertising and marketing communications for a number of years before turning to fiction. August Snow was his first novel. "August Octavio Snow is a big Detroit booster . . . Stephen Mack Jones picks up his gung-ho protagonist where the author left him in his first novel, August Snow—cleaning up his beat-up neighborhood in Mexicantown." "Jones’s action-packed book has echoes of Raymond Chandler’s banter and bursts of Dashiell Hammett’s violence, with a tip of the porkpie hat to Walter Mosley. 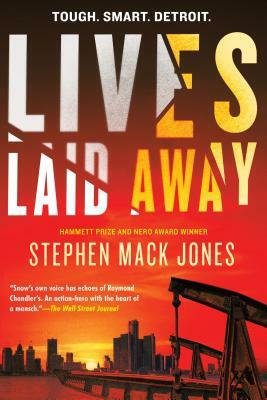 What’s more, Lives Laid Away delivers a bracing amount of rough humor and a whole lot of heart." "A terrific story . . . 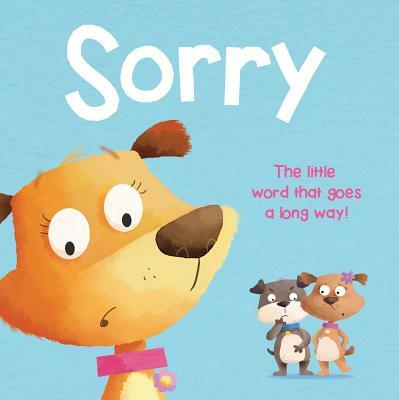 The setup allows Jones to deliver some stinging observations about our current immigration policies, leavening his heavy themes with a judicious amount of dry humor." "Packed with local color and references, this book will have you on the edge of your seat. It’s an action-packed mystery novel that is both familiar and surprising." "Jones proves he’s just at home writing crime fiction in Detroit as Loren D. Estleman and the late Elmore “Dutch” Leonard . . . Get ready for a different kind of snowstorm." "August Snow brings diversity to the genre and the stories are both gritty and clever. The Detroit setting is beautifully done. He takes a seat right alongside other great Michigan private eye writers like (Estleman) and Steve Hamilton. I’m hoping this is going to be a very long-lived series." "A clever, punchy tale set in one of today’s more romantic locales: Detroit. A city climbing back from ruin is a great backdrop for redemptive stories like this one, about a native who is renovating houses on his childhood street to try and rebuild the neighborhood he grew up in. Stephen Mack Jones is also a playwright and a poet, which means he knows how to make every word count . . . Heart and muscle aplenty." "August Snow combines strength, vulnerability, and resolve — all necessary to the construction of a hero. Snow’s sense of honor is a liability in certain parts of Detroit — as it is most places — but the thought of abandoning it is never on the table. Razor-sharp characterization, an engaging style, and Jones’s intimate knowledge of Motor City culture give us hope for an enduring series and many years of entertainment." "An old-fashioned, guns a-blazing ripsnorter—and boy, are its pulp roots showing." "This is noir as it was meant to be: incisive, socially conscious, distinctly situated, and told with real style." "Detective fiction needs a shot in the arm every now and again. That was the feeling of reading Stephen Mack Jones . . . The August Snow series is as promising as any crime fiction to come around in a long while, tapping into the iconoclasm and social justice streaks of midcentury noirs, but taking them in a modern direction, exposing human trafficking rings, abuses of immigrant communities, gentrification, and economic declines and revivals. It’s heady, exhilarating stuff." "A giddy, heart-stopping read whose distinctive, vibrant characters come at you full throttle, no holds barred . . . A toast to Stephen Mack Jones, one of the coolest crime writers on the current scene." "It's hard to believe this is only the second mystery from [Jones]—with a well tangled plot, excellent pacing, and the deft mixture of toughness and generosity in his protagonist, August Snow, this is a terrific new book and a great series." "Superior . . . August Snow is an uncompromising crusader with a sense of humor reminiscent of Robert Parker's Spenser. He merits a long literary life." "Hard-driving noir, with a strong dose of neighborhood camaraderie; for read-alike comparisons, think Easy Rawlins and his close-knit L.A. neighborhood meet Jack Reacher." "Operatically violent and hilariously funny, with dialogue to die for. I'll read whatever Stephen Mack Jones writes."